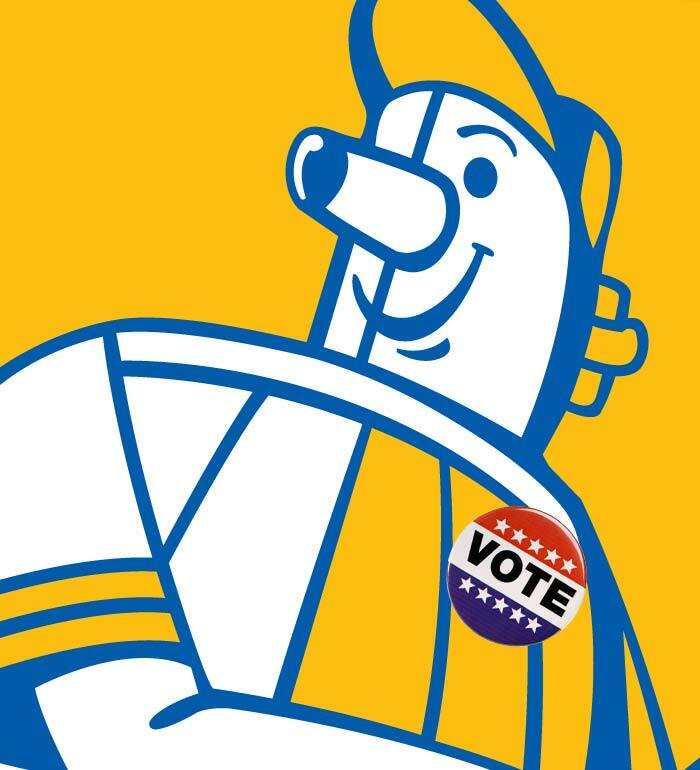 Borchert Field: The Voters Have Spoken - Barrelman Wins! The new Leinenkugel's beer, available only at Miller Park, will be named for our own Owgust's little brother. 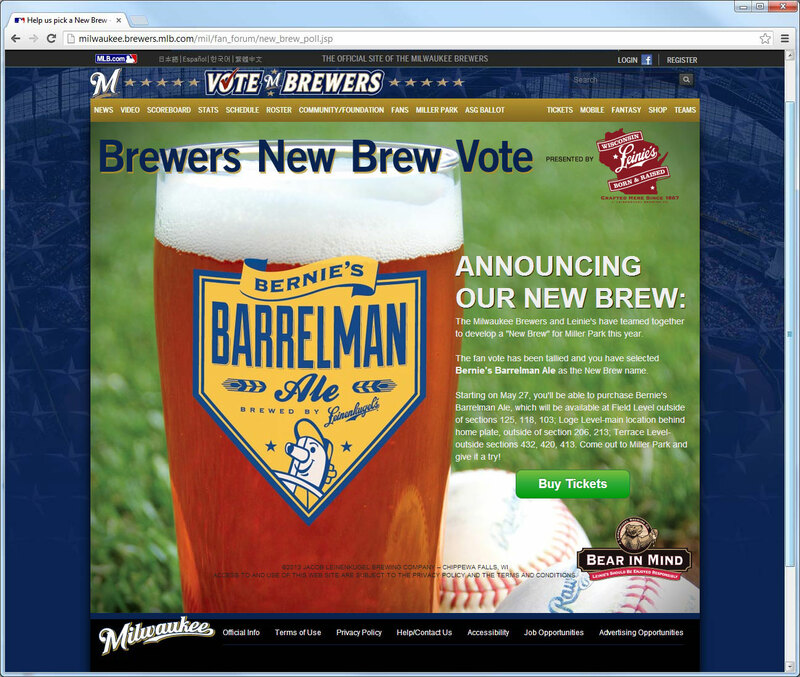 MILWAUKEE – By an overwhelming margin, "Bernie's Barrelman Ale" was selected as the name for a new beer created in a partnership between the Milwaukee Brewers and Leinie's. The beer will be available exclusively at Miller Park beginning this Monday, May 27. Over 10,000 votes were received and 55% voted for the winning name. "With Milwaukee's heritage of brewing beer, an ale made exclusively for the Brewers was a great opportunity to pursue," said Brewers Chief Operating Officer Rick Schlesinger. "We appreciate the work that Leinie's and our partners at MillerCoors put into this initiative, and were thrilled with the response of the fans in naming the new beer." The newly-created beer is an ale, brewed with pale and roasted caramel malts along with cascade, nugget and willamette hops. It will be available exclusively at Miller Park and fans will be able to purchase the "New Brew" at locations on the Field Level behind sections 103, 118 and 125; on the Loge Level behind home plate and sections 206 and 213; and on the Terrace Level outside sections 413, 420 and 432. 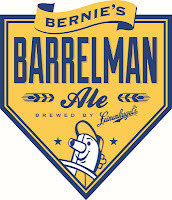 In addition, Bernie’s Barrelman Ale will be available for tasting by credentialed media in the Media Dining Room prior to Monday’s game against the Dodgers. The other names up for a vote included "Brew Crew Brew" (which netted 35% of the vote) and "Brewers All-Star Ale" (10%). For more information, please visit Brewers.com/newbrew. Outstanding. I never had a doubt. I love the logo, but wonder how much it will actually get used. Possibly on plastic cups, maybe some signage around the stands? I'm presuming from the locations that the beer will only be available on tap, so no labels. I hope it gets good play; I would gladly buy a set of pint glasses with that logo. Now the name is one long word. We'll see if that sticks. Unlike "Owgust" in the 1940s, this mascot logo has never had an official name. 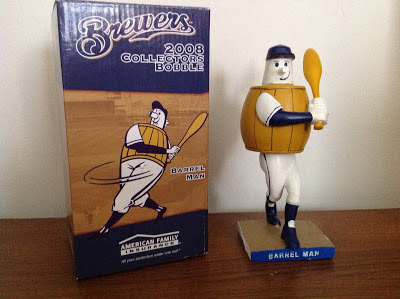 "Beer Barrel Man" was bestowed on him by fans, and has never had great currency. In recent years, he's seen something of a resurgence, around the park and on merchandise. 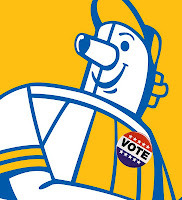 Once upon a time I advocated adopting him as a new Bernie Brewer, with mascot costume and all, but that seems unlikely. This is the second popular win for the mascot this season; earlier this year he featured prominently on the winning "YOUniform" design this year, and the club continues to sell authentic caps with his face on them. All of this helps us recognize and celebrate the entirety of Milwaukee's baseball history. This mascot logo is a very real link between the current Milwaukee Brewers and the club that not only gave them their name but paved the way for Major League Baseball in the Cream City. 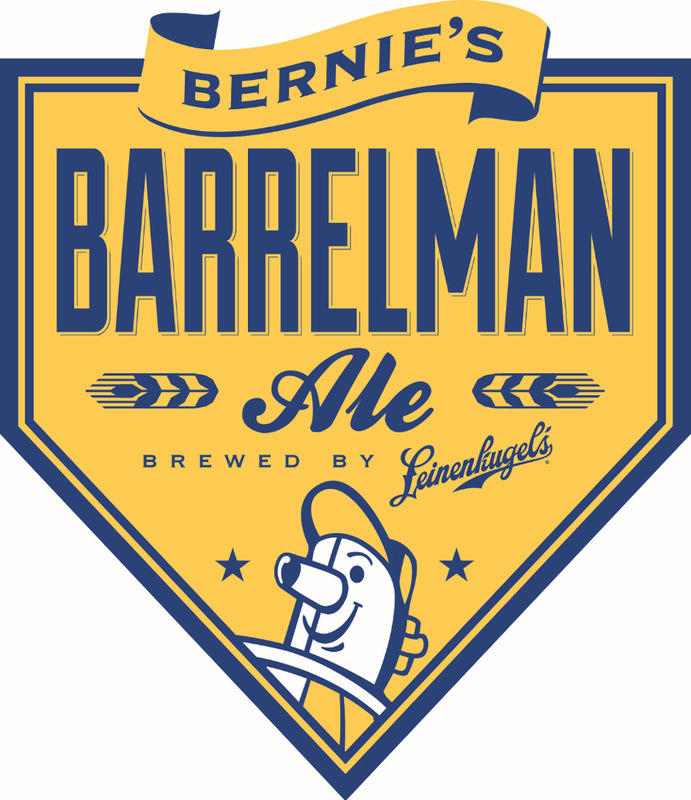 So the next time you head out to Miller Park, stop by one of the Leinie's beer stands and pick up a Barrelman Ale. Raise your plastic glass to Owgust and the Brews, and let me know how it tastes.